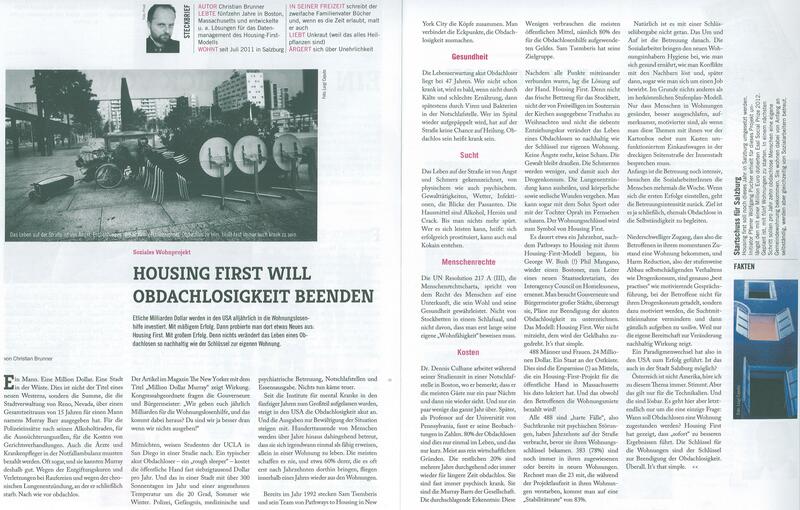 In 2011/2012, I spent a year in my home country of Austria, and helped create the first true Housing First project there, in the beautiful city of Salzburg. 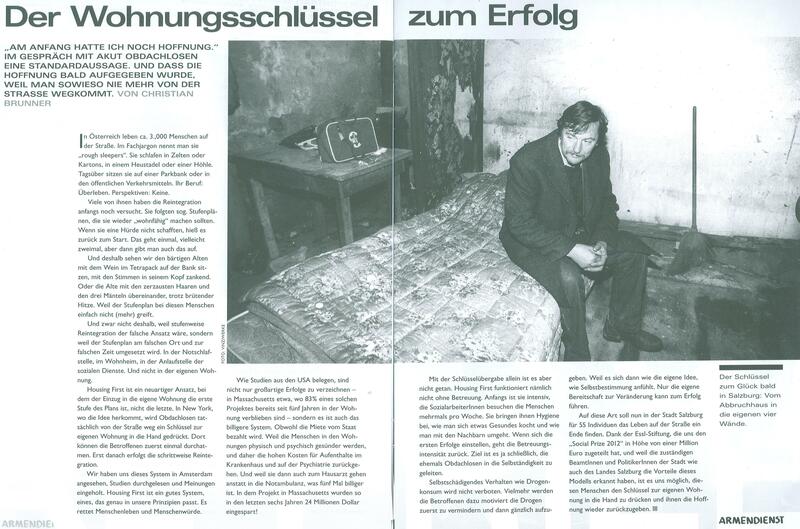 Housing First is an approach to ending homelessness based on evidence that many - if not all - the issues (often mental health and substance abuse related) get much better, and treatable, once a person has moved from the unhealthy and dangerous streets back into a home of their own. With that comes not only a better life for the affected individual, but also a reduction in cost for the public at large. 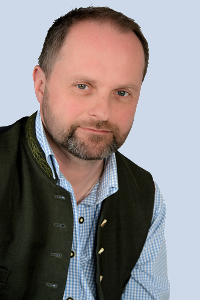 Der Schlüssel zum Glück bald in Salzburg: Vom Abbruchhaus in die eigenen vier Wände. 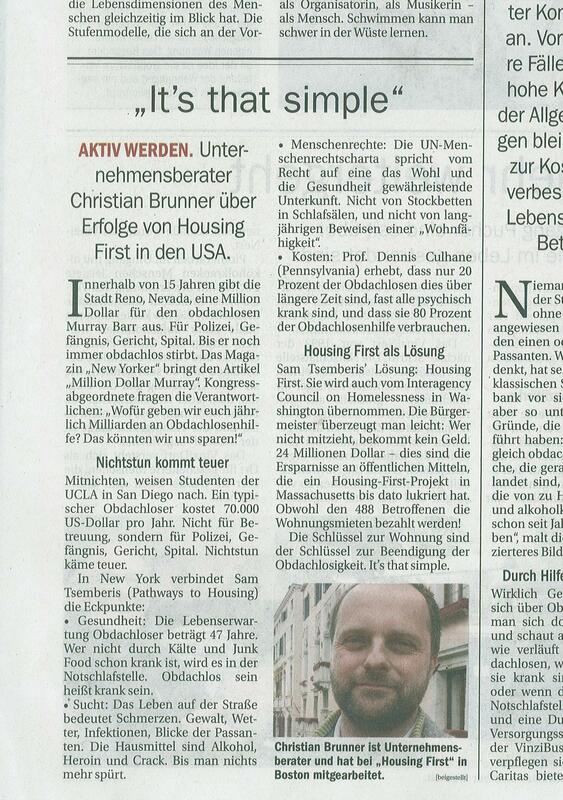 Unternehmensberater Christian Brunner über die Erfolge von Housing First in den USA.